This was a project we did in Oswego, IL. 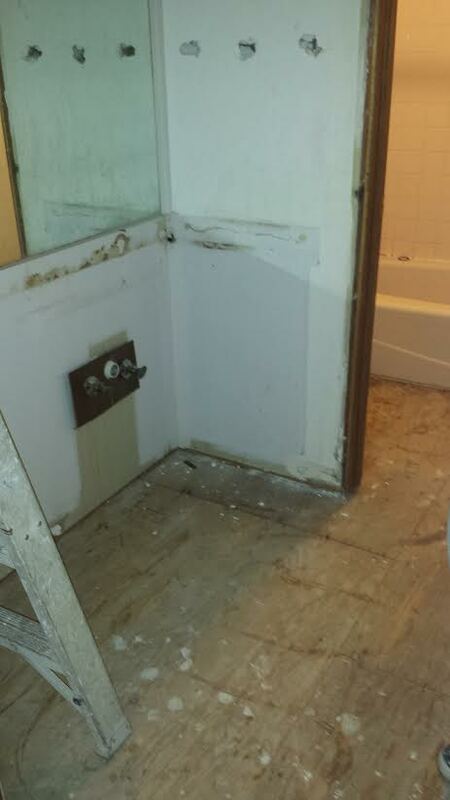 This was an entire bathroom remodel. Frames, drywall, taped and refinished. The old bathroom was outdated and in pretty bad shape and the owner wanted something more modern that could match the rest of their beautiful home. We installed dura-rock and floor tile, as well as a new toilet, 2 pedestal sinks, trim and painted the entire bathroom. We think the new bathroom turned out amazing! Only took 4 days to complete.